Dog Beach by John Fusco, Touchstone/ Simon & Schuster, 224 pages. $24. 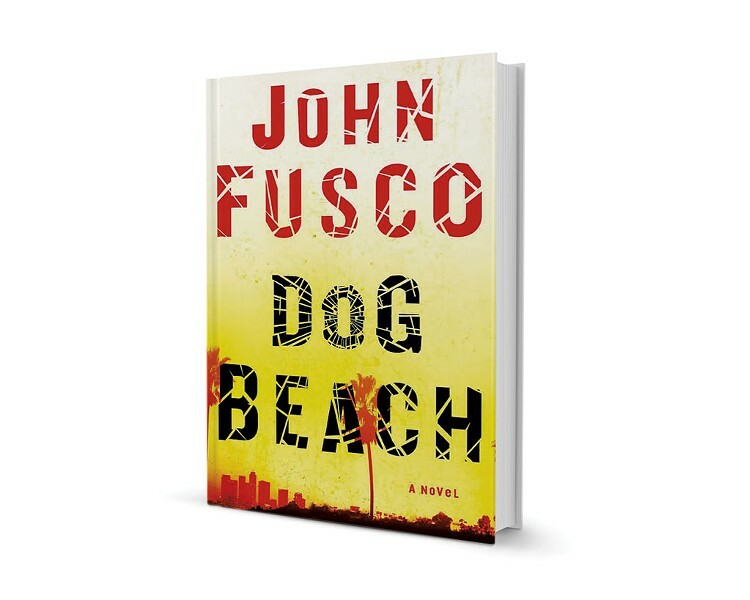 Morrisville resident John Fusco opens his novel Dog Beach with an almost-literal cliffhanger. Veteran Hong Kong stuntman Louie Mo "is running, eight stories up on a rusted crossbeam, when he feels it, that thing entering his bloodstream, the rush he secretly calls the Creature." This could be a flashback or a flash-forward relative to the novel's main, past-tense narrative; which it is hardly matters. Louie Mo's line of work is all about rushes of adrenaline that transport him into a timeless present. Each death-defying stunt culminates in the question, Did I die this time? Fusco has chosen an appropriate protagonist for his novel: a fast-paced, action-packed LA noir in the Elmore Leonard vein. Reading Dog Beach, it's easy to imagine it on screen — and that's no surprise. Though Fusco has published a previous novel, Paradise Salvage, he's best known for his screenplays for such films as Crossroads, Young Guns, Hidalgo, The Forbidden Kingdom and Netflix's upcoming, much-publicized sequel Crouching Tiger, Hidden Dragon: The Green Legend. The author practices martial arts and has an insider's view of filmmaking in Hong Kong and Hollywood alike. All that experience informs Dog Beach. The novel boasts a large cast of LA schemers and dreamers whose stories intertwine in ways that are lucrative, lethal and, occasionally, ludicrous — all connected somehow to the Malibu beach house referenced by the title. That house belongs to small-time producer Avi Ghazaryan. He's lent it to hot-shot young director Troy Raskin, who's under deadline for the final cut of a zombie flick funded by sinister Guatemalans and starring Avi's nubile daughter. Uninspired by the hack work, Troy is dragging his feet, so Avi calls in cheap muscle to motivate him. 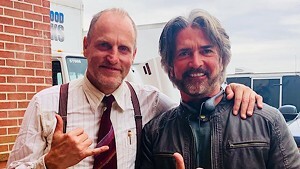 Rather than cowering when the thug arrives at his door, Troy recognizes him as legendary stuntman Louie Mo — and hands him a screenplay. A refugee from mob threats in Hong Kong, the aging, painkiller-addicted martial artist has been eking out a living with his fists, aided by his right-hand woman, stunt driver Dutch "The Clutch" Dupree. Louie is perplexed by Troy's encyclopedic knowledge of Hong Kong cinema, but intrigued by his offer of a starring role in an indie film. Could this be the stuntman's chance to show his face to the camera like a star? Using an omniscient narrator, Fusco manages all these competing interests deftly, racing from scene to scene. When he pauses, it's for a pungent whiff of LA atmosphere or a satirical riff on the current state of the film biz. "They will only make movies that come with an underlying brand," complains Avi, who dreams of finding a sure-fire blockbuster concept for which he won't have to pay a penny. While Fusco's pop-culture references can feel labored, his action scenes are elegant and terse, studded with verbs working overtime. People don't just run or hide in this book, they "bull" or "squirrel." So stripped down is the narrative that, yes, you'll find yourself visualizing it like a movie. Where Dog Beach fails to transcend the average action flick is in its characterization. Louie and Dutch are a memorable and appealing odd couple. But if you've seen one of those Tarantino knock-offs from the late '90s, you're already all too familiar with the novel's other characters. The trope of "tough guy with a comic foible" gets a workout here, and the plot mechanics depend too much on both Troy and Louie being blithely indifferent to the likely consequences of their actions. Of course, no one can blame a stuntman for having an appetite for danger. While Fusco's novel may not quite have the freshness of a breakout hit, lovers of B-movies and Hong Kong lore will find that it dances along the edge of the cliff with aplomb. The original print version of this article was headlined "Quick Lit: Fusco's Hollywood Noir"